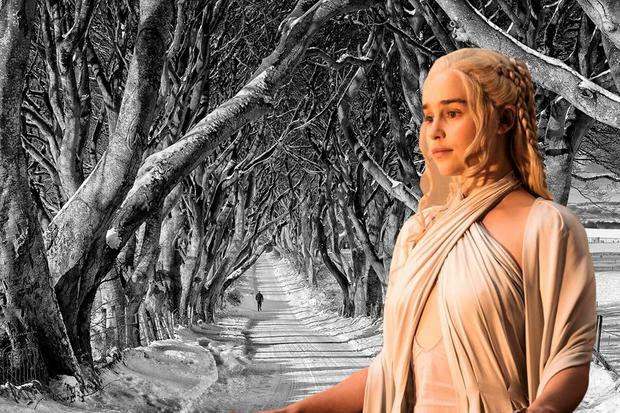 Composite Image: Emilia Clarke as Daenerys in Game of Thrones, with Northern Ireland's Dark Hedges in the background (image - DiscoverNorthernIreland.com). The 'Dark Hedges' in Ballymoney, Co. Antrim featured as a location in Game of Thrones season two. An animatronic raven perches atop of two signs pointing the way to Game of Thrones locations in Northern Ireland. Want to step into the Seven Kingdoms? How about a selfie in House Stark, or some up-close views of Kings Landing? A dream is coming true for Game of Thrones fans, with HBO's announcement today that it is to launch a series of "Legacy Experiences" and a studio tour in Northern Ireland. For the first time ever, fans will be able to visit iconic sets from the series - with plans underway to exhibit standing sets for iconic locations like Winterfell, Castle Black and Kings Landing alongside a formal studio tour at Banbridge's Linen Mill Studios. Several locations will be converted into tourist attractions "on a scale and scope bigger than anything the public has ever seen," according to HBO Licensing & Retail. The attractions will offer "the first opportunity for the public to set foot inside some of the most iconic locations from the series and behind the camera lens to see how the world’s biggest TV show was made," it adds. Sites will feature not only sets, but displays of costumes, props, weapons, set decorations, art files, models and other production materials. "The visitor experience will be enhanced by state-of-the-art digital content and interactive materials which will showcase some of the digital wizardry the series is known for," HBO adds. Northern Ireland has been a key filming location for Game of Thrones for a decade, not only at Linen Mill Studios, but using over two dozen locations - ranging from the Dark Hedges at Ballymoney (the Kingsroad, in the series) to Fair Head (Dragonstone) and Castle Ward estate on Strangford Lough, the setting for Winterfell (below). Filming on the smash hit fantasy series wrapped this July, with the final instalment of six episodes slated to air in 2019. 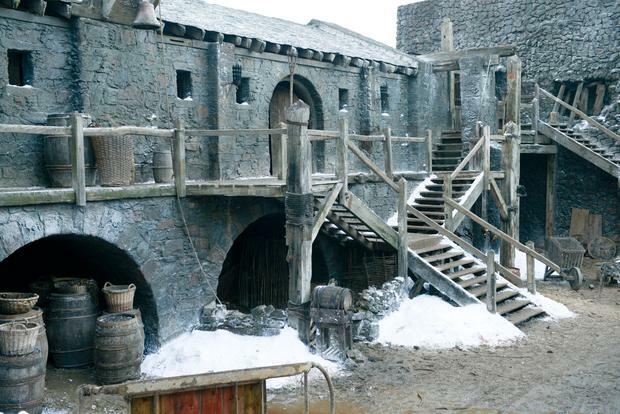 The Winterfell set from Game of Thrones. 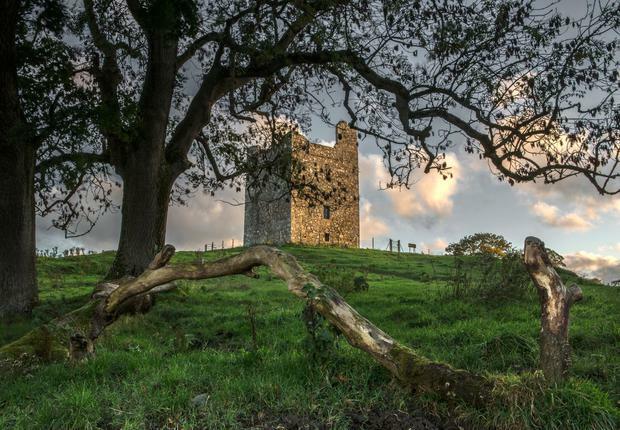 The link has been a big driver of tourism, with everything from Game of Thrones bus tours to medieval banquets, archery experiences tourist passports and even afternoon tea featuring Dothraki trifle - at Ballygally Castle - available to visitors. Official Game of Thrones experiences will take that to another level - the studio tour could be similar in scale to the Warner Bros. Studio Tour - The Making of Harry Potter in London, for example. And that's not even starting on 25 or more potential locations beyond Banbridge. Previously, branded experiences based on the show have been limited to a touring exhibition and live concert, but the announcement promises to "open up the production archives and share them with the series’ loyal fans." “HBO is thrilled to celebrate the work of the Game of Thrones creative team and crew by preserving these locations and inviting fans to visit Northern Ireland and explore Westeros in person,” said Jeff Peters, Vice President, Licensing and Retail, HBO. “The opportunity to celebrate Northern Ireland’s pivotal role in the life and legacy of the show and share its culture, beauty and warmth is also a huge inspiration behind these Legacy projects,” he said. “We couldn’t be more excited about the Game of Thrones Legacy project coming to Northern Ireland," added John McGrillen, Chief Executive of Tourism NI. “The Game of Thrones Legacy project will be a game changer for Northern Ireland on a global tourism level." The full scope of the Game of Thrones Legacy project will be revealed at a later date after the exploratory process is completed, HBO says. A tentative opening date is currently set for 2019.